Nurse Wendy Mulder invites you to a different perspective on nursing your body into health, wealth and kindness. With pragmatic and nurturing tools, questions and information, as well as insightful interviews, join Wendy in exploring a different way of nursing you that can change your life, no matter what is occurring! Episode 3 - Carers and Health Care Workers, You Need to Hear This! We are great at taking care of other people and their needs. For carers and health care workers, we are in the business of taking care of other people's bodies - and yet it is amazing how dynamically we will neglect our own? Let's change it and create a world where the caring and the cared for can receive greater nurturing and nursing of their bodies - in a different way that contributes to everybody! Episode 2 - What is your body capable of? When we are faced with unfamiliar or challenging things that come up for our bodies, rather than expect the worst or give into anxiety or worry, what if you could take a moment to shift your outlook with a simple question? Episode 1 - What is Nursing Your Body in a Different Way? 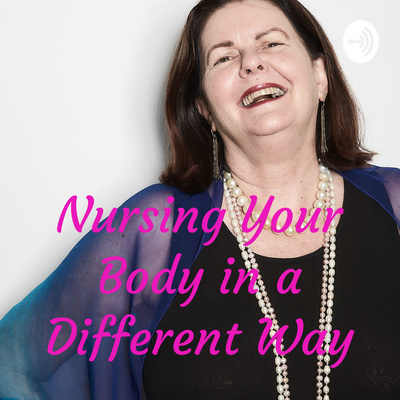 Listen to Nurse Wendy as she gives a little background and information on what nursing your body in a different way is all about... and leaves you with a question to get you looking at health and happiness with your body from a different perspective!